Most of us will never have to make business-critical decisions. For others, first business decisions are also the last, as the project crashes. For some people, however, decision making is an art-form. More than that, it’s their lifeblood. William Bainborough, multiple startup CEO, is one of those people. Unbelievably, Bainborough started his first company in “IT hardware sales” when he was only seventeen years old. He couldn’t even officially trade as he wasn’t old enough to open a business bank account. It’s not dissimilar to getting married at sixteen, but not being about to legally drink alcohol at your own wedding! Now, aged 35, he is building his biggest business yet. 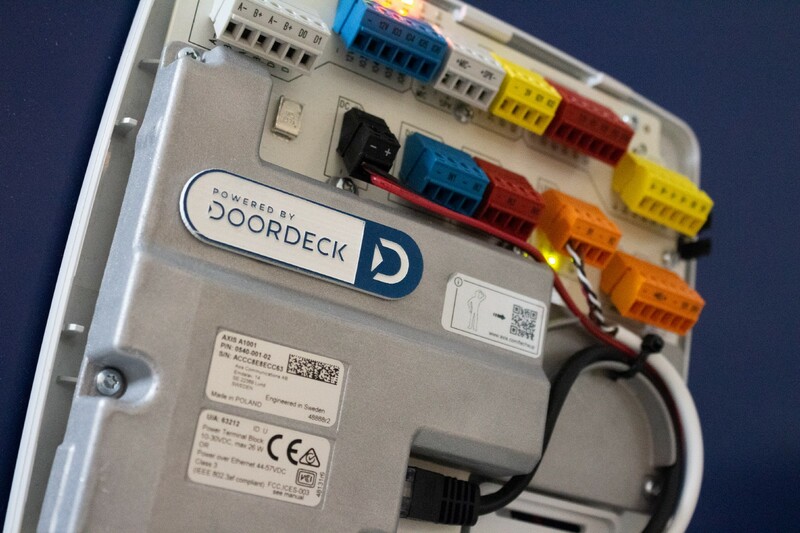 Doordeck are the world’s first keyless platform designed to work with a buildings existing access control.. So should we all just quietly move along? “No, what we do is absolutely unique! It’s absolutely radical in the access control market”. What’s so innovative about Doordeck is that it’s a piece of software, only, whereas all of their competitors are labouring with hardware. Now, to add smartphone access to your business, there is no need to rip out existing hardware (i.e. card readers). In fact, there is no installation effort whatsoever. 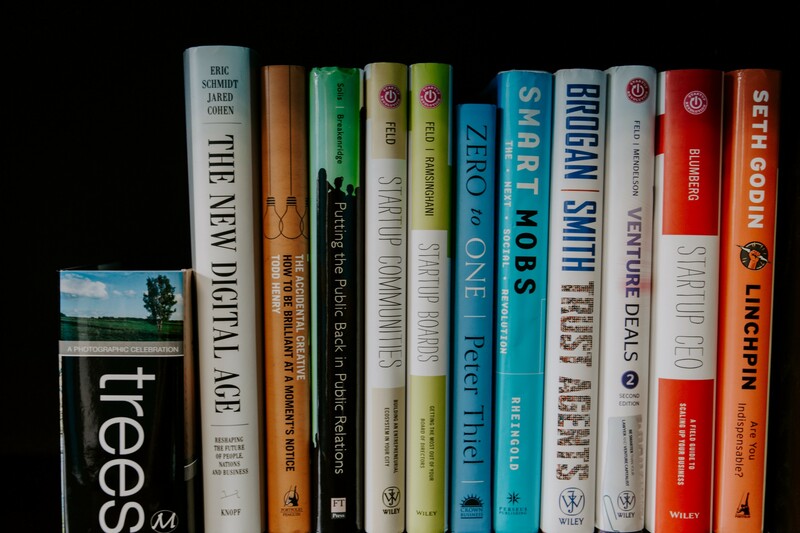 It’s a straightforward subscription-based SaaS (software-as-a-service) model. William Bainborough is on to his sixth (or is it seventh?) startup. Developing a completely unique value proposition is no fluke. Rather, it comes from 16 years experience designing and deploying access control systems. Moreover, Doordeck is his “sixth (or is it seventh)” company. Bainborough couldn’t quite remember exactly when asked! Presumably, then, it’s safe to call him a “serial entrepreneur”? He continues, “I prefer to say, ‘I work in software’”. It’s this spirited and, at times, audacious wit that makes an interview with Bainborough a genuine pleasure. Like his approach to business, he is always looking to push a few buttons. Like many great startups that have gone before, Bainbourgh and his CTO Michael Barnwell have been friends/rivals since their early twenties. Interestingly, Doordeck’s UPS came out of finding a solution to a deeply personal challenge. Someone very close to the duo was ill and wheelchair-bound. They wanted to work out a way that visitors could access their apartment without demanding they have to activate the centrally-located interface. From these initial prototype stages, they thought they had something “amazing”. Next, they founded the company and attempted to sell the product, without success. On a train from Paris to London, they realised they needed to change course. Then, in June 2016, their application to Startupbootcamp IoT was accepted. That was the catalyst for both Bainborough and Barnwell to commit full time to Doordeck. And with this commitment came two stark, but brilliant realisations. This was the crucial moment: Doordeck transformed from a tangible piece of hardware to a weightless piece of software. 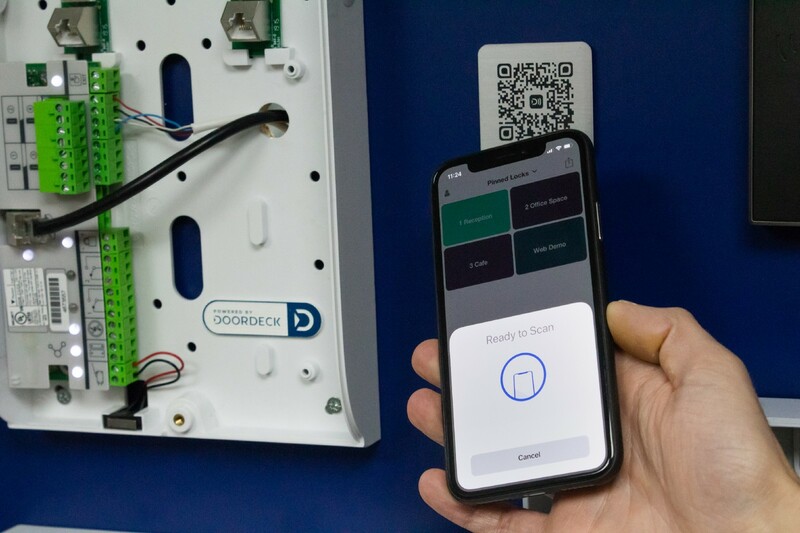 The UPS is that the Doordeck platform can connect with any networked access control deployment; and their customers can can add-on mobile access, without any disruption to their existing hardware. The range of integrations available include all the big players in the industry: Paxton, ACT, PAC, Pacom, AXIS, Impro, iStar. And they are working on AMAG & Lenel. As a result of this ability to complement existing systems, Doordeck call themselves a “manufacturers’ agnostic company”. You could also call them a “competitor agnostic company” too. “Our competitors are using bluetooth for crying out loud!” laughs Bainborough. Take Hilton Hotels for example. The global hospitality empire recently spent $550 million on smart locks, that, according to Bainborough, are outdated, slow and ultimately insecure. Yet, despite Hilton shopping for smart locks elsewhere, it’s not as if nobody is listening to Doordeck’s distrust of Bluetooth. Fresh from a “massive deal” with STANLEY Black & Decker, Doordeck aren’t too far off their five year exit strategy. Considering the company was officially founded in 2015 but not taken seriously until late 2016, and the product has morphed and mutated several times in that short time, global-reach and market flotation is a seriously impressive end-goal. So, what has founding six — or was it seven? — startups taught Bainborough about running a business? This time Bainborough is not joking. For him, business is all about people and relationships. Everything — from an old friend being his CTO, to his casual approach to initial seed funding (“we emailed a bunch of friends and about a dozen or so chipped in”) — is about people and relationships. And what’s his most trusted business secret? “When you don’t know the answer to something — which happens all the time — you need to be able to pick up the phone, and get advice. It’s probably worth having Bainborough on speed-dial then. 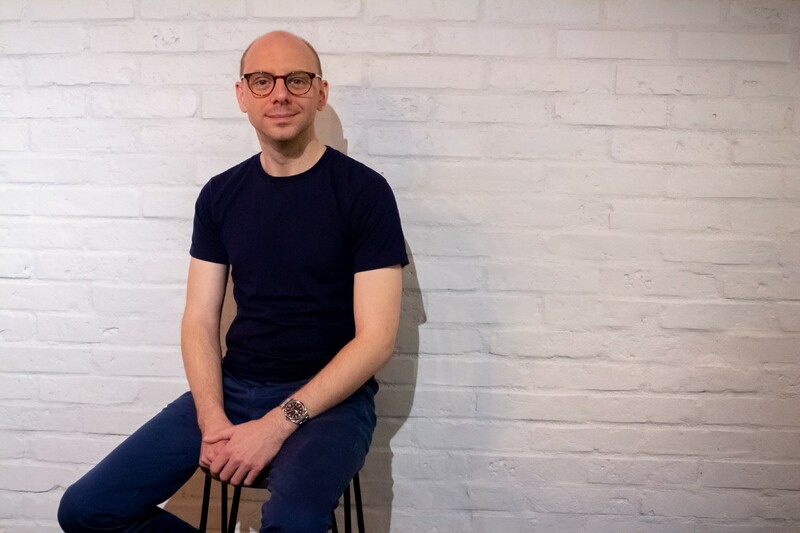 Craig writes for Calcey Technologies, a boutique software product engineering agency with roots in the Silicon Valley, that lends its software development muscle to start-ups and scale-ups around the world. Calcey’s client portfolio includes global names such as PayPal and Stanford University, alongside numerous exciting startups, including Nutrifix (UK), Nelly.com (Sweden) and MyBudget(Australia). The team of 100+ engineers, based at its development centre in Sri Lanka, are looking to engage with more startups.